The melanocortin family of receptors has been implicated in the regulation of a number of physiologic systems. Despite the cloning and characterization of these receptors, little is known about their regulation. 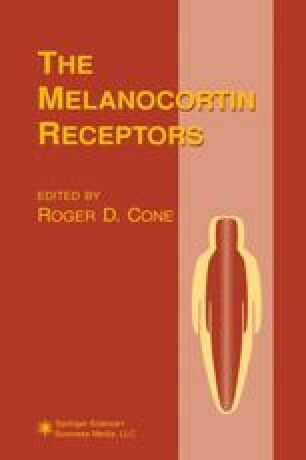 I will summarize in this chapter what is known about a novel regulator of melanocortin receptor activity, the agouti gene product. Not only does the action of agouti on these receptors explain or clarify the physiologic role of some of these receptors, agouti function and regulation also imparts new possibilities for these receptors having a role in processes such as energy homeostasis.